In a previous post, I tried to relate the GTD (Getting Things Done, David Allen) reasoning for developing and using a trusted system for storing information and tasks, rather than simply trying to remember things. The inbox – there is a single location or entry point for the system. Only one. Ever. This reinforces the habit of using the system. Further, the inbox should be readily accessible so that when information or an interruption occurs, a note can be put in the inbox quickly, and collected and stored there for later processing. Then you can get back to productive, planned work. Anything, in any form, can go into the inbox. Finally, it is important that you alone control what goes into the inbox, because if others can put things directly into your inbox, it gets cluttered. If it gets too cluttered with junk, it gets difficult to process. If it is too difficult to process, you’ll let stuff collect up – congratulations, you’ve officially fallen off the GTD wagon. This fact alone makes your email inbox a lousy GTD inbox. I’ll cover tips on incorporating email in a later post. Remember – a single, private, inbox that is easily accessible – put everything there. Processing mentality – process the inbox every few hours, or when there is a natural break in work. There are only three permissible actions: do it, delay it, or delete it. If it can be done (or filed for reference) quickly enough to not break the flow of processing, say 30 seconds, then go ahead and knock it out. If it will take longer to do, then delay it, possibly in a task scheduler or suspension list (more on this in a later post). If it is no longer relevant, just delete it. Remember – decide what it is and get it out of the inbox. Organized storage – the storage system must be organized so you can find things. What does this organization look like? The answer to this question is not obvious in an age where search has overtaken up-front filing. “Pile and search” is a reasonable choice in the age of Google. For me, search is a valuable tool, but has a complication. I use similar terminology in lots of different ways. If I search my 4500 notes for the word “productivity”, I get back a few hundred notes. This is not particularly helpful. On the other hand, a hierarchical filing system (such as folders in Outlook) has not proven useful for me. The problem with hierarchical storage is that each item stored can only be about one thing. This constraint means that I am limited on how to find things in the system and have to work too hard to find the “right” place to put things. I have worked on this for a while and have refined a tag-based organization/filing system that I found on the web. I’ll post details on this topic later, but for a preview, go to The Secret Weapon. The site has a 7-minute overview video. 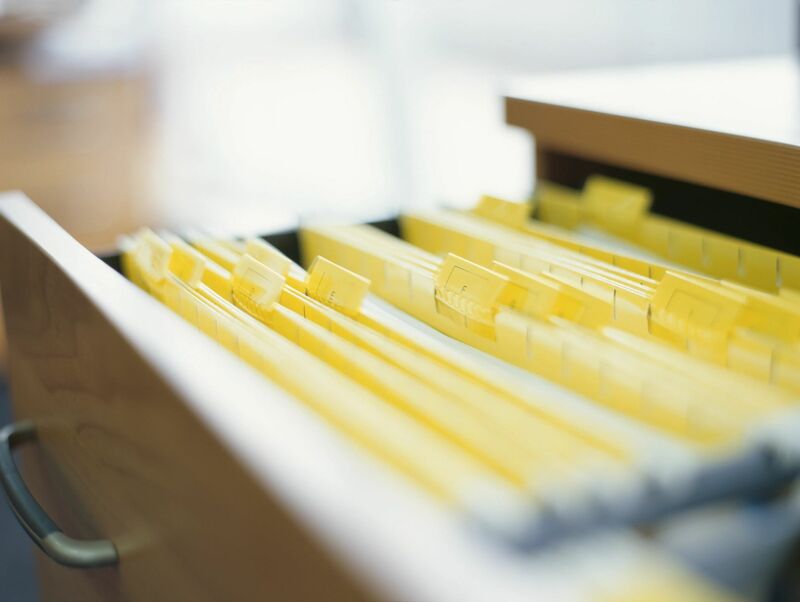 Remember – organization is a key to trusting your system. GTD has been around for a while and has evolved over time. If you’re interested in more detail, here’s a link http://gettingthingsdone.com/get-started/. I also recommend the book; it is thorough and concise. I fiddled with reminders in Evernote for a long time, but couldn’t work them into my workflow. Recently, however, I found a few keys that make this functionality a game-changer for me. The concept of a “tickler” file has been around for years. It was based on paper and folders. I think we can update that idea a little. Here’s how. In note view, Evernote has a “Reminder” icon (a clock). If you click it, you will see some default choices like “tomorrow.” Selecting “choose date” shows a date/time picker. Select the date on which you want to be reminded about this note and, optionally, a time. When you click away from the date/time picker, the reminder is set, and Evernote shows the date that the reminder is due. Simple. And critically, the reminder does not interfere with any of the other tags or the location of the note. One feature that makes the tickler system work in Evernote is how it (optionally) reminds me about notes. It sends me an email early in the morning on days when I have reminders due. Any note that has a reminder for that day (regardless of the time) is included in the email. When I see the email, I process the whole set of reminders (I don’t normally have more than 5 or so) and then delete the email. In order to enable this behavior, go to Tools->Options->Reminders and check the box for “Receive reminder emails”. The title of each note in the email is actually a link to the note itself in the Evernote web client. In Windows, the desktop client will also become active and show the note. So processing the email is simply clicking on each note title, waiting for the note to pop up in the app, clearing the reminder, and setting any additional tags. I normally just put each one in my “Now” tag. I also have a “ticklers” saved search, just to keep things organized. The search syntax is “reminderorder:*”. The things I wanted to be reminded about are now my to dos for today. In order to keep things simple, I do not use the “Mark as Done” feature of tags. I don’t do anything to track completed work; I tried it and didn’t find it very useful. I don’t worry about setting the time on the reminder, I just let it default. I don’t let anything on my computer pop up, change an icon, or make a noise, same with the pop up notification that a reminder is due. To stop notifications, go to Tools->Options->Reminders and clear the “Show upcoming reminders” and “Show recently completed reminders” boxes. Since I deal with my ticklers once a day, the time is not important. And yes, I sometimes just shove the task down the calendar by changing the reminder date. This usage supports David Allen’s advice in GTD. Your calendar is for things that need to be done on a specific date and at a specific time. Therefore, only appointments (although perhaps only with yourself) go on the calendar. The reminder/tickler is more about project deadlines and things that are convenient to do on a particular day. In addition, if I need to follow up with someone on a task, I can set a reminder for a week from now. Question: Have you found Evernote reminders useful? How?